Wenger Explains Why He Is Still The Right Man For The Arsenal Job - kaycee Weezy! Arsene Wenger insists he is the best man to turn Arsenal’s nightmarish start to the season around. The French coach, 63, has come under intense scrutiny in recent weeks, which intensified following the Capital One Cup defeat at npower League Two Bradford. Wenger has not won a trophy since the 2005 FA Cup and there have been calls for him to step aside. However, the long-serving Gunners boss, whose current deal runs until the summer of 2014, insists he is as hungry for success as ever. “My job is to be determined and give importance to what is important. What is important is I love football, I love this club and I give my best for this club. The rest, I cannot interfere with,” Wenger said this morning ahead of the Premier League game at Reading on Monday night. “Believe me, I am highly focused on doing that and all the rest, that doesn’t interfere with my thinking at all. Wenger, who sits on board meetings, has been criticised as being too powerful within the club - branded “a dictator in many ways” by one former Arsenal player, and now media pundit, Stewart Robson. 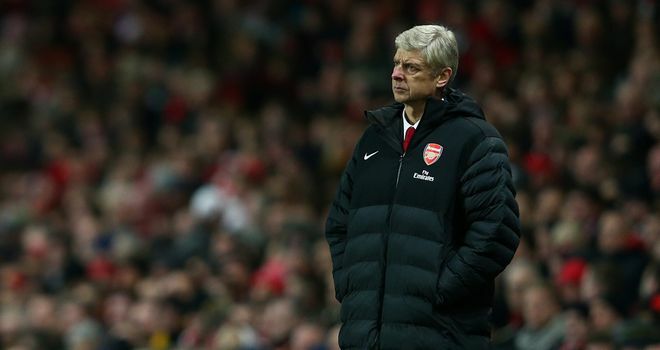 The Gunners boss, however, feels his experiences give him a position of strength. “I can understand that people criticise when the results are not as expected, but it looks like it has become the modern way to think,” he said. “You say that 16 years can be a handicap, but as well it can be an advantage because you have experience, you love the club. “If I sit here, it is because I have really shown how much I love this club.